You might be under the assumption that all you need to do is create an infographic and it will automatically drive traffic and raise brand awareness. Unfortunately, it doesn’t always turn out that way. You have to know that many infographics are fading away in the dark corners of the internet- ignored and overlooked. In the world of digital marketing, infographics has become a trend because they are extremely useful in conveying information in a stimulating and comprehensive manner. These graphical presentations help grasp the viewer’s attention and relay information fast. 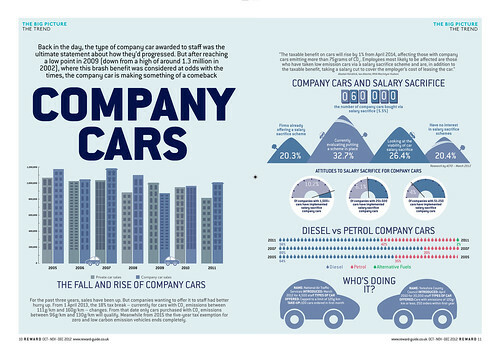 With that said, infographics are a quick and stunning way to wield complicated data into something more understandable. Unfortunately, there are some infographics that are unable to present comprehensive information while some fail to grasp the attention of its target audience. Some of the common reasons why infographics fail are listed below and a few tips to help you avoid failure. The Infographic Is Self-Indulgent: This happens when you create an infographic that is solely focused on your own products and services. The truth is that your target audience is not initially interested in you; thus, avoid becoming a shady salesman. Failure To Visualize The Data: The main point of making infographics is to turn useful information into graphical presentations so that it becomes comprehensible for the audience. By turning the information into graphical presentations, it becomes more interesting and compelling. With that said, your infographic fails when you fail to visualize the data. Since it is impossible to discuss a topic using images alone, text must be used to define what the graphs, charts, and images represents. This means providing concise explanation using brief textual content. Unoriginal Infographic Design: Although it is a good idea to learn from the success and failures of the infographics shared across the internet, you must still create your own unique design. Avoid imitating other designs and do not copy the infographic template outright. It is advisable to develop your own ideas and style. an evenly distributed data. This means that the information presented must have a proper flow. complementary colors, images, and text. The visual presentation must use contrasting color palettes. In addition, the images and text used must be related to the topic being discussed. Failure To Factor In Its Shareability: As an infographic designer, you must set a goal in creating a graphical presentation. You must determine who the infographic is for and what is its purpose. You must also decide whether the visual presentation serves as a branding or promotional tool, or as a method of improving search engine optimization. These elements will help set the goal and make it easier to choose a subject that is relevant to the target audience. Your main goal must be to get your infographic to go viral and reach as many people as possible. Kris Hopkins is a marketing assistant who uses infographics to promote products and services. She also occasionally writes blogging content for www.designerinfographics.com, where here readers can find skilled infographic designers.